The Art Institute of Houston designer presented her vibrant senior collection inspired by hummingbirds and the complicated beauty of nature. 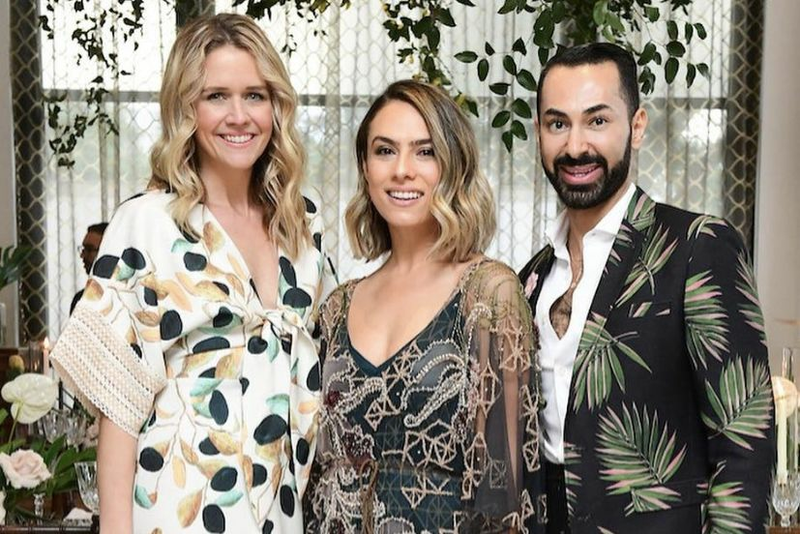 Designer Sanaz Ekhlassi presented her Spring/Summer 2019 Technibird Collection last weekend. 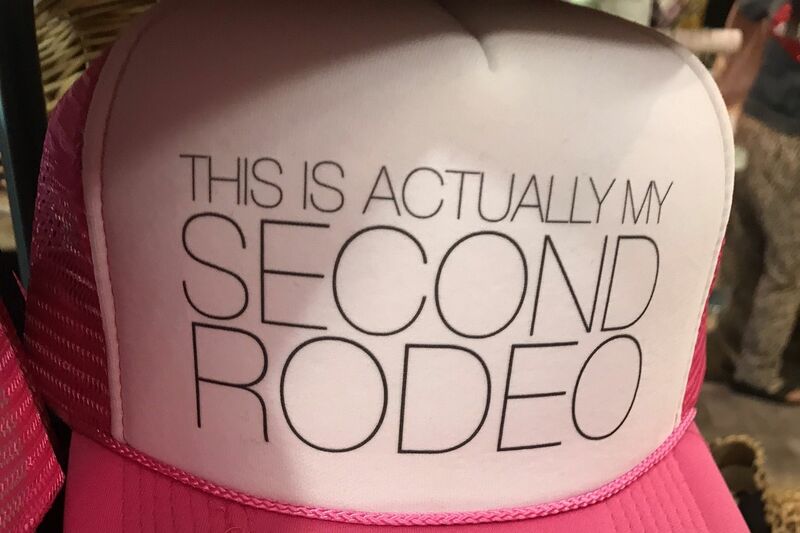 Fashion Week is in full swing in the Big Apple, but New York isn't the only city where immensely talented designers are strutting their stuff. 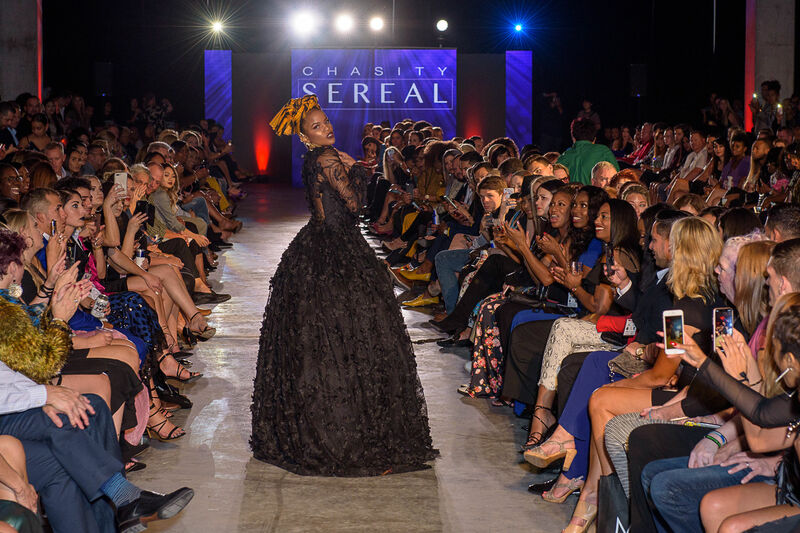 Houston is also home to its fair share of creatives, and one of our freshest fashion designers lit up the runway with her latest collection last weekend. 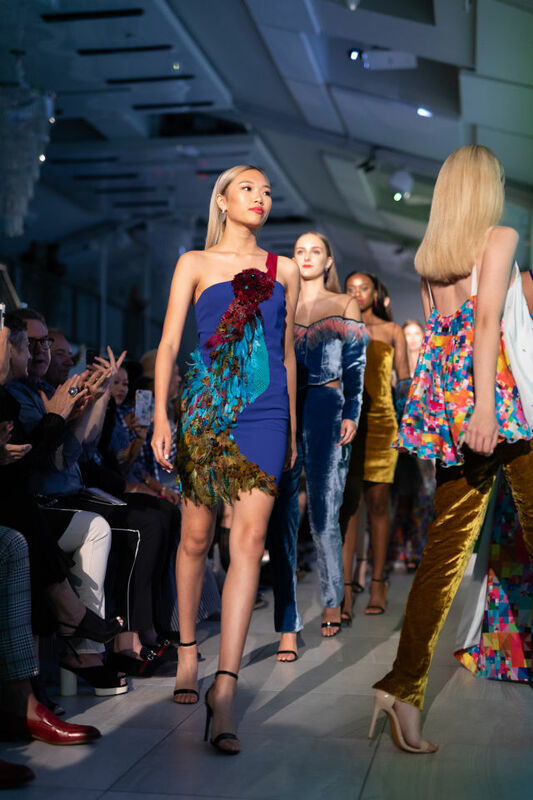 In a flurry of feathers and brilliant hues, designer Sanaz Ekhlassi presented The Technibird Collection, a multimedia presentation of her vibrant, geometrically-inspired Spring/Summer 2019 clothing capsule. Drawing from her love of nature and its complexity, Ekhlassi chose the hummingbird and digital sound and shape to depict that relationship in her pieces. Further breaking down the basic elements into essential colors and shapes, Ekhlassi pixelated her concept and birthed a bold new collection. 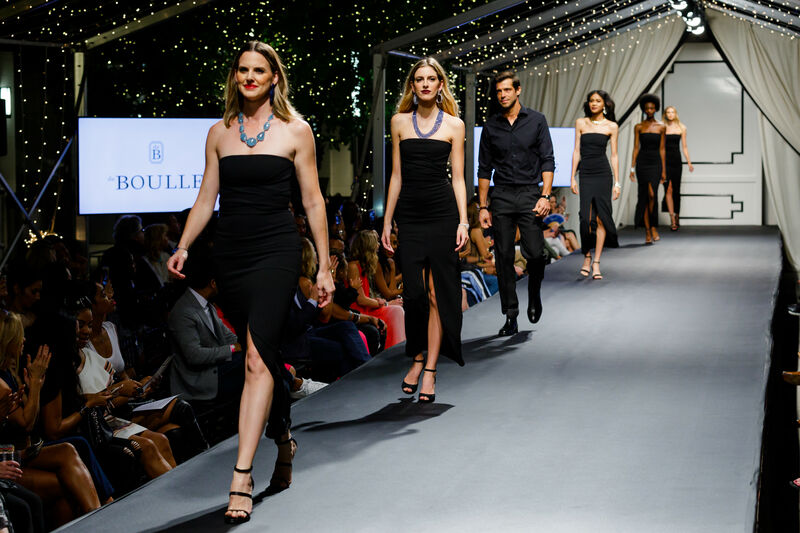 The designer used the impressive 100-foot projection screens at venue Life HTX to feature digital art and video with help from her team, co-producer Anthony Dowd and multimedia presentation from Blah Blah Co. Along with intricate patterns and shapes, rhythmic beats and bass—provided by underground musician Kinda Super Disco—and the dynamic colors and textures of Ekhlassi's pieces combined to mimic the hummingbirds that inspired the work. To create the fabric at the heart of her show, Ekhlassi took pixelated images of birds and flowers and painstakingly placed them piece by piece along thousands of other geometric shapes. The resulting vision is a breathtaking kaleidoscope of blue, pink, orange, yellow, and white specially printed on silk habotai in New York. Those same pixels also found new life as geometric embroidery used throughout Ekhlassi's collection. The designer’s commitment to texture manifests as an assortment of exotic feathers carefully hand-placed on the clothing; the result is some necessary plumage for the avian-inspired collection. It's the beautiful freedom of movement in all of Ekhlassi's pieces that's most inspired. 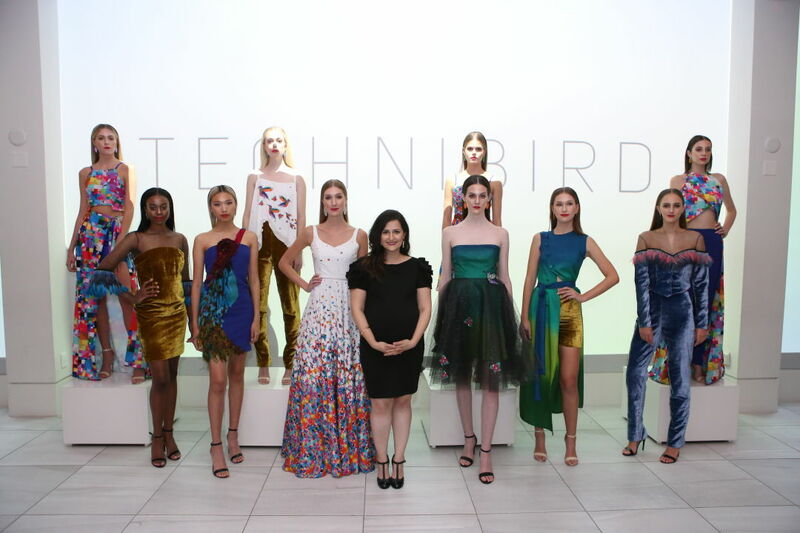 Flowing skirts, high-low shirts, pencil pants and tulle tutus inform the Technibird Collection. The toss of the first model's skirt as she hit the end of the runway was as effortless as a hummingbird's flit about the garden. 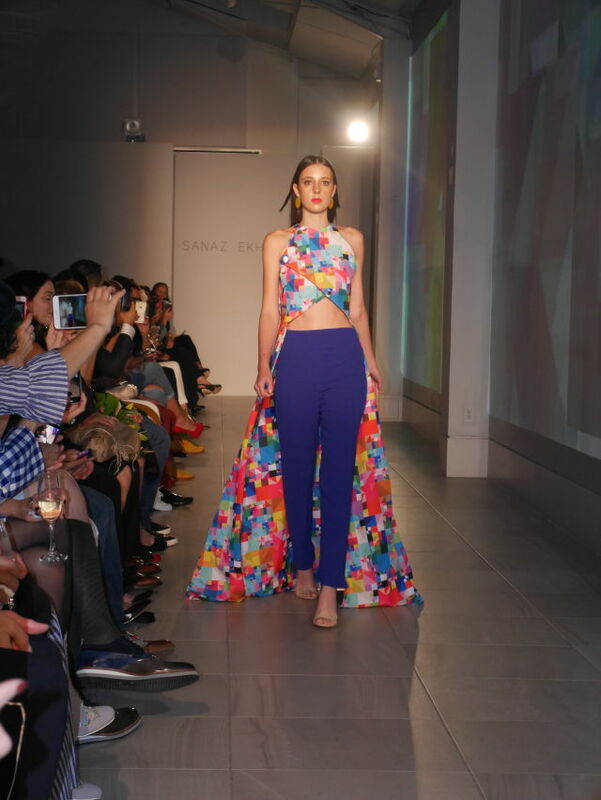 While this is Ekhlassi's senior collection as a graduating student from the Art Institute of Houston, she’s no newcomer to the industry: As associate stylist with Matuszewski Productions, she works on shows for companies like Saks Fifth Avenue, Macy's, and Dillard's. She has more big plans for the not-so-distant future, including a capsule collection in collaboration with M&P using sustainable resources and working on pieces to show in London's 2019 Fashion Week.